Looking for the perfect homestay for your next family vacation? Check out Eko Stay's Peach Misty Villa at Tungarli Hills, Lonavala for an undisturbed, homely experience. Located just about 8 kilometres from Bhushi Dam, Peach Misty is a spectacular 4-bedroom villa with an outdoor Jacuzzi and a private pool. 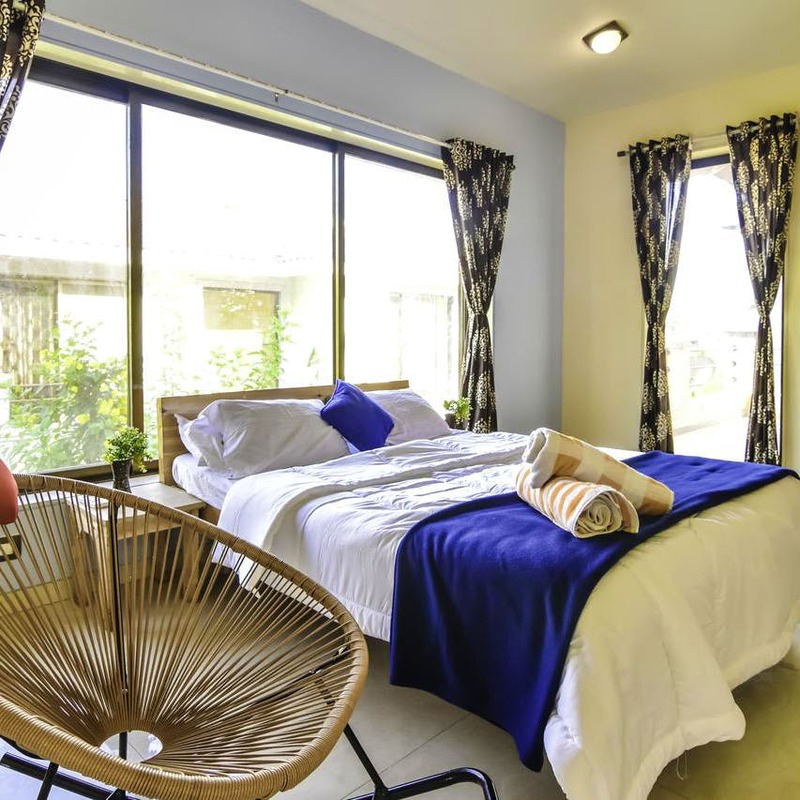 We hear the villa is extremely clean and tidy with spacious rooms full of fresh air and sunlight. Peach Misty, most definitely has an immediate homely vibe to it. The decor is minimal yet beautiful. Think cocoon chairs, funky cushions, comfy king-size beds, potted house plants, quaint artefacts and more. The villa also has a fully-equipped kitchen for guests to cook their own meals. However, we hear a wonderful Continental breakfast is served every morning at the property. Apart from this Peach Misty is well-appointed with all amenities like TV, fridge, WiFi and AC. The price for the entire villa starts at INR 18,500 per night. This can vary depending on the season and availability. Don't forget to carry your bathing suits to take a dip in the pool.